In this essay, I examine how two Irish American leaders considered, and helped to shape, several threads within the transformation of American nationalism that took place during the Civil War era. Both men went further than simply urging devotion to the Union; they interpreted military service to that cause as a way for Irish Americans to claim fuller inclusion in the American people. 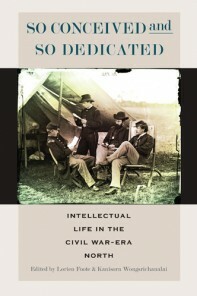 As I show, Meagher and Guiney point to a more nuanced possibility than is offered by most historians who debate whether Irish American service to the Union helped accelerate assimilation of their ethnic community into American society: fuller integration alongside maintenance of an ethnic and religious identity. As a part of this impulse, Meagher and Guiney envisioned a more robust and better defined concept of American national citizenship in law and practice, one that incorporated greater protection for naturalized citizens abroad and a stronger emphasis on human rights overall. Moreover, in the context of war, both men underwent a political transformation to espouse the ideals of the Republican Party regardless of the criticism aimed at them by some of their fellow Irish Americans for doing so. While Meagher died early in Reconstruction, Guiney revealed the depth to which he embraced Republican egalitarianism by serving as a vocal proponent of its principles during his postwar political career in Boston. Meagher and Guiney not only contributed to the Union by serving in its army but also by helping to interpret the ideological meaning of its victory.